Perhaps you’re headed to a holiday party, or maybe you’re just really in the spirit of the season, and you want to decorate your chair or scooter to fit a holiday theme. Luckily, there are tons of options for decorating your device, from the understated subtleties to the downright showstoppers. It’s easy to spread cheer from your chair. Read on to see our suggestions for creating a holiday masterpiece. Attach your favorite holiday greenery to your chair. We suggest holly, poinsettias, garland, or whatever else puts you in the Christmas mood. Use fake flowers for convenience, or if you want to enjoy the true texture and smell of holiday plants, attach a plastic florist’s water tube to your wheelchair hand grip or arm frame and place the plant inside. You can find these water tubes online, at craft stores or at a florist shop. If you’re feeling lucky, maybe use a few coat hangers to fashion a stand for some mistletoe. Nothing says holiday cheer like Christmas lights. 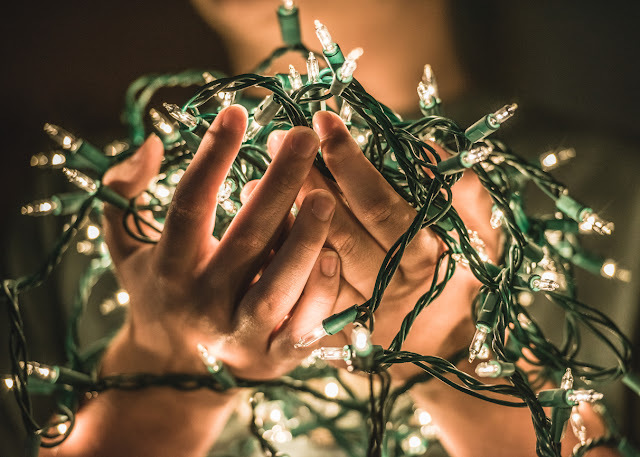 Grab some battery operated lights online, at your local Walmart, or at any hardware store and wrap them around your chair to create a glowing masterpiece. Customize the color scheme to your liking and consider adding some blinking lights that will really dazzle. You can even light up your wheels with specially-made LED lights for wheelchairs, available online and at major superstores (Be careful using regular Christmas lights around wheels – these can tangle and cause a real headache). Sticker sheets made especially for the holidays are everywhere at this time of year and make a super cheap option for decorating your chair. Stickers work great for decorating the spokes of your wheels, side guards or frame and come in tons of styles, from glitter to scratch & sniff to three-dimensional. If stickers aren’t your thing, sewing or ironing a patch on to the back of your chair is an easy and inexpensive way to add some holiday flair. CafePress has a huge selection of holiday patches to choose from and even make customizable patches with your choice of text and design. 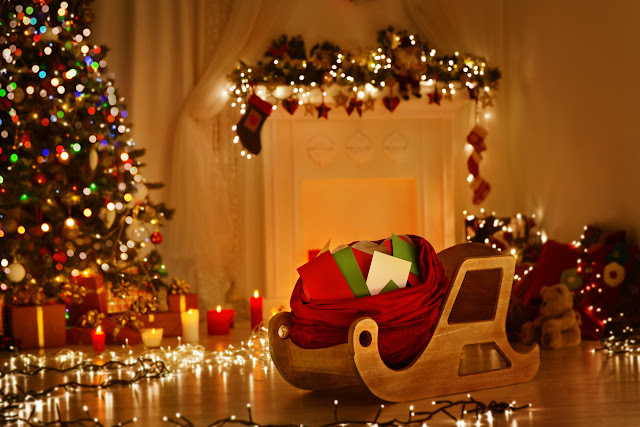 If you’re feeling bold, crafty, and want to show up to your next event decked out in holiday cheer, become Saint Nick yourself and transform your chair into Santa’s sleigh. Find a box that is large enough to cover your chair and outline a sleigh shape on either side. Cut out these shapes and paint (we recommend red spray paint) red. Let it dry, then add a gold trim around the edges and personalize it to look like Santa’s ride. Attach to both sides of the sleigh (and make sure the cardboard doesn’t drag along the ground or against the wheels) and voila! You’ve got St. Nick’s ride to cruise around in for the night. Keep in mind that with some design tweaks, this technique can also be used to make Elsa’s sleigh for Frozen fans. This process will take a few hours and some work, but overall it’s a simple process that will produce a breathtaking result. Check out Pinterest for photos and design ideas! 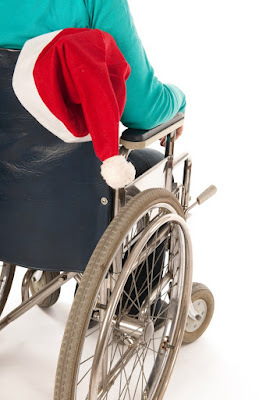 While those are just a few of our favorite ways to decorate your wheelchair or scooter for the holidays, the possibilities are truly endless. Got an idea we didn’t mention? Post it in the comments and show us how you let your creativity shine this holiday season!